Children must be taught how to think, not what to think. Like waking from a dream, the second grader’s alertness and observation skills are sharpening, and the curriculum supports them in this period of discovering others and the world around them. In the Main Lesson, they learn about goodness and its opposite, overcoming hardship, and perseverance through fables and legend stories of extraordinary human beings who developed their capacities in exceptional ways to add great value to the world—lessons which magnify and clarify the second grader’s experience with the burgeoning binaries of their being.  As with all grades in the Waldorf curriculum, the Subjects scaffold the Main Lesson for an all-encompassing approach to learning. Download the comprehensive Second Grade Curriculum. The countdown has begun! Waldorf Education turns 100 Thursday, September 19, 2019 at 8:00 am, Frankfurt time. Thanks to BC Photographics, Ricardo Beron, Jennifer McCord, and many others for the kind use of their photographs.